On the 24th March 1943, 1700 personnel from the 78th fighter group arrived to inhabit RAF Duxford. Having been used to being billeted in tents on previous airfields, it came as a great surprise to find Duxford full of permanent pre war accommodation. One former USAAF member, Clark Clemons described pulling up at the front of the club and it was like the ‘Grand Hotel’. 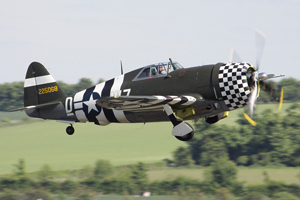 Operating the Huge P-47 Thunderbolts, the 78th commenced combat sorties on the 13th April. On the 14th May, they got their first ‘kill’, but also had their first of 3 losses that day. 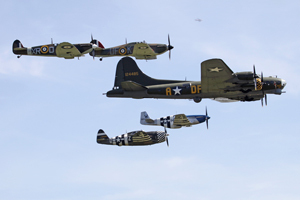 Duxford’s Spring airshow 2013 was to commemorate the 70th anniversary of the arrival of the USAAF to the Station. With the weather looking absolutely glorious, it was time to see what the team had laid on in the way of ’ground attractions’. Of course, there is the outstanding museum to take a look at. There was the usual compliment of trade stools to lighten your pockets. WW2 re-enactors were also in abundance too. To give the ‘American’ feel to the museum, there was a cheerleading demonstration on the old hangar base in front of the Wing Co Joes Café. The girls proved pretty popular!! Even more impressive was the trio of ‘Gals’, The Three Belles. 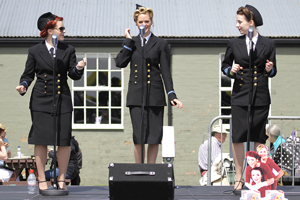 The Belles are an Andrews Sister style trio who have produced and promoted their own sell out tours. They are currently touring with their latest show ‘In the mood’. These 3 girls really know how to put on a show and I highly recommend taking a look at their website, www.thethreebelles.com. 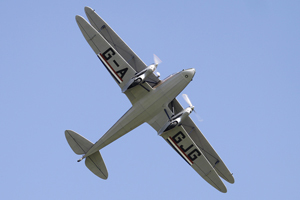 With Tank rides and pleasure flights also available throughout the day, there is so much to see and do. 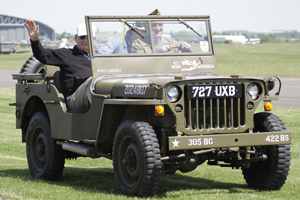 Before the airshow started a genuine US Fighter Ace, Clarence ‘Bud’ Anderson delighted the crowd on a tour along the crowd line in a Willys Jeep. 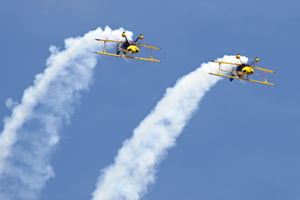 The air display was a 2-o-clock start with probably, what will be the highlight of the 2013 season, The Eagle squadron. 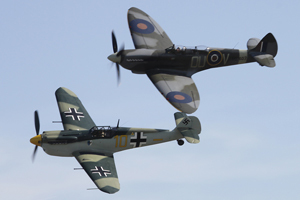 The squadron was formed using American pilots who had come to fight the war in Europe. A welcomed guest to the airshow was P-51C Mustang, Princess Elizabeth. Shipped over from the States especially for the show, she was joined by Spitfire MK1a, AR213, Hawker Hurricane I, P3886 And TFC’s P47G ‘Snafu’. 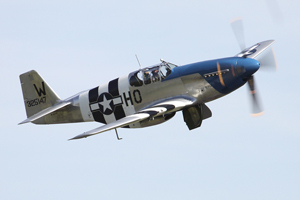 This was the first time since the war that the two early American fighters had flown in the UK skies together. The display was flown by Paul Bonhomme of OFMC, Dan Freidkin, Ed Shipley and Steve Hinton. The sight was very ‘Evocative’ to say the least. 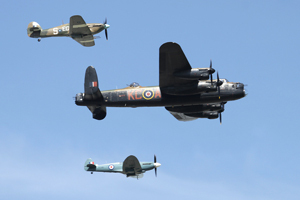 The quartet then joined up with B-17 Sally B for a formation tribute to the ‘Mighty Eighth’. Looking down the airfield, you could see Duxford was pretty much filled to capacity. Even so on the first pass of the Eagle squadron, P51 Princess Elizabeth pulled up and signalled a 1 minute silence. I was amazed at how the ‘rammed’ crowd fell silent in honour of the American service men and woman. 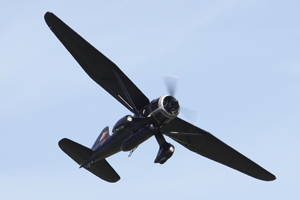 With Sally B safely on the ground, The Shuttleworth collections Westland Lysander showed of it’s manoeuvrability. I for one didn’t realise that the Americans used the ‘Lizzie’ during the war. 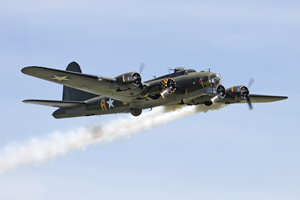 Two more USAAF aircraft flew next, both of which are owned by TFC. 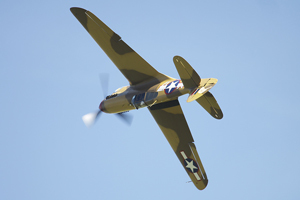 P-40B and P-40F Warhawks flew a faultless display. Father and son duo (and owners of the Fighter Collection) Stephen and Nick Grey were absolutely superb with Stephen finishing on a low sweeping turn in. He did seem to have a bit of a bounce on landing though and had to ‘Go Around’ again. More American piston power was to follow with a display from Anna Walker in the Aircraft Restoration Companies North American Harvard and John Dodd in the TFC machine. 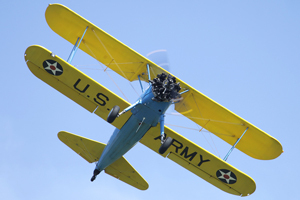 Golden Apple Operations completed the trainer line-up with their PT-17 Stearman. 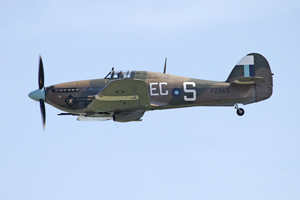 The Battle Of Britain Memorial Flight arrived right on cue from crowd rear and I was a little disappointed that they did not bring their new Spitfire. However, you can never fail to feel a little emotion when the flight display. 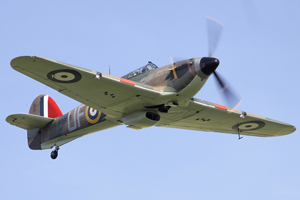 It was definitely a consolation that we did get to see the freshly re-furbed Hurricane MKIIc, PZ865. It looked stunning in it’s new SEAC colours. 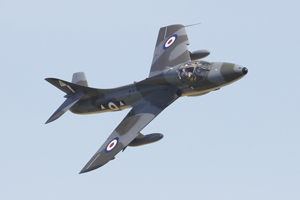 The first Jet of the day was the Graham Peacock owned Hawker Hunter T.7 from North Weald. 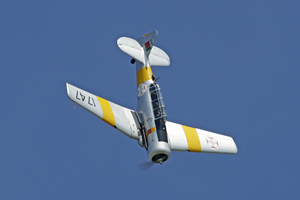 Aerobatic routines were flown by the TRIG Pitts pair and later the RV8tors. More American hardware was in the skies also, C-47 Sky train ‘Dragemoot’ and Aces High Dakota flew a graceful 2 ship and it was a real treat to see the two D-Day veterans in tight formation. This was followed by a single ship Breitling Wingwalker display, the first time I think I’ve ever seen a solo by the team. With displays from D&M Millers DH89 Dragon Rapide and P51 Mustang ‘Miss Velma’ The afternoon was getting ever closer to the finale. 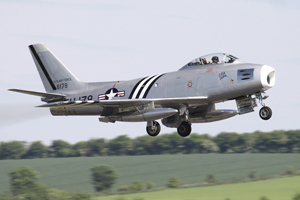 The weather had stayed glorious throughout and with Golden Apple Operations F-86 Sabre making it’s 1st appearance since it’s new engine was fitted and a nice display by the Grace Spitfire and ARC’s Buchon, Eagle squadron took to the skies once more. 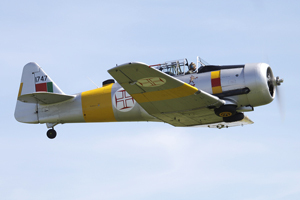 At American air shows, Heritage flights seem to be very popular. I think this is now starting to take off (excuse the pun) in the UK. 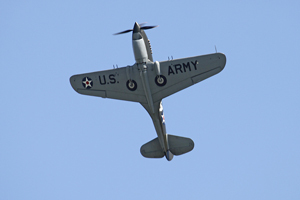 I believe Duxford eclipsed the US with this one though. In the distance Eagle Squadron had formatted up with the Royal Airforce Aerobatic team, the Red Arrows. 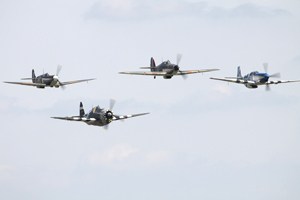 With the Reds in V formation and eagle sitting in the middle as a four ship, the over flew Duxford in a very stirring pass. 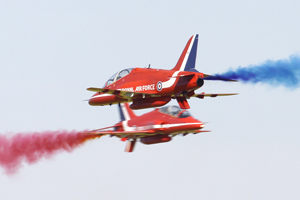 The crowd clapped as the formation broke up to leave the Red Arrows to give their first UK display of the season. With a few new set pieces for this year, the Reds didn’t disappoint and finished of what my 8 year old son described as an ‘EPIC’ day. 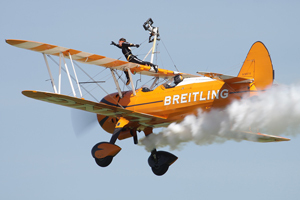 Congratulations to all the pilots, crew and the display organisers for brining such a memorable show. The only thing I can say I was not happy with was the fact that I dropped my NEW Canon camera on the hard concrete in front of the American air museum. Luckily it bounced on the grip and not a mark on the camera itself. Please Duxford, can we have spongy concrete!!!! !